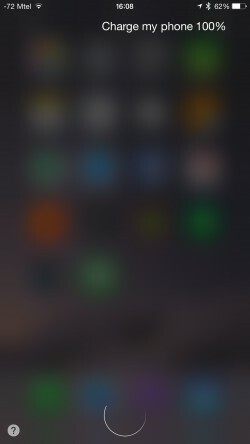 Looks like Apple's virtual assistant Siri has an interesting response to a certain command. When you ask it to "charge my phone 100 percent," the software instead begins calling emergency services. At the face of it, this may seem to be a bug, but it could also be a feature to secretly call the police in desperate situations, although it isn't officially mentioned anywhere. The behaviour is reproducible on iOS 8, but not in the public beta of iOS 9, suggesting it probably is a bug. 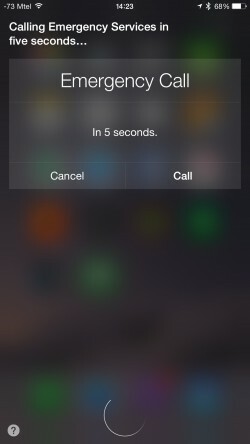 Anyway, should you test this out at your end, make sure you cancel the call in the five-second window that Siri gives unless you want a cop at your door. isn't work, i think they fixed it with last update.